One of my schools uses "4S Lines". 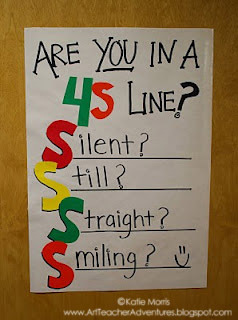 The "S"s stand for Still, Straight, Silent, and Smiling. I created a sign to hang on the inside of my door right where the students line up at the end of class as a reminder. I LOVE this! It works for all classrooms.